From the largest seaweed to the smallest form of algae, there are many varieties of plants that live in the oceanic zone. The plants living beneath the Earth’s seas form the foundation for the entire food chain for most animal life found in the deep. Plants, such as seagrass and rockweed, provide both food and shelter for many species. In a world of water, plants survive, thrive and provide substance to an entire ecosystem. Kelp, a variety of seaweed, is one of the most common of the sea plants. Kelp is also the largest, with some specimens growing to more than 250 feet. 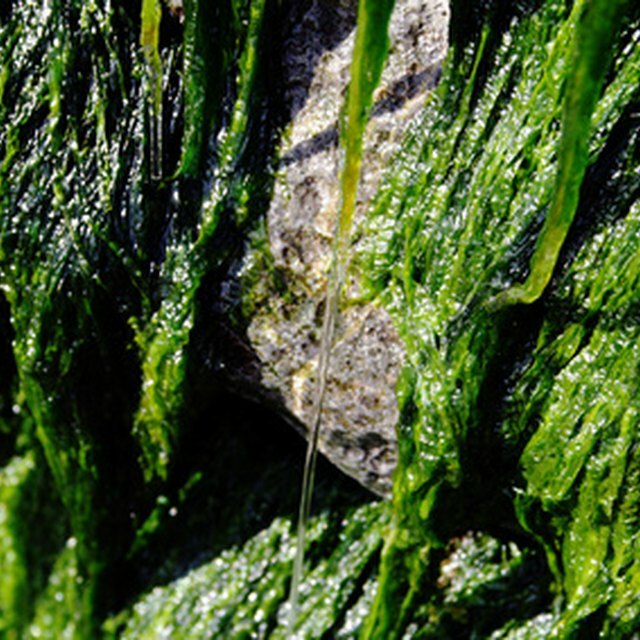 This seaweed grows in the cold waters of coastal regions where the plants latch on to rocks. Kelp provides shelter for numerous small species of fish, crabs and other small marine animals. Kelp is usually colored brown, lives on the surface of the ocean and is a common sight washed ashore after high tide. Large patches of seaweed grows in the ocean depths. The tallest among them are named rockweed or “seawacks.” This type of plant contains no roots. The plants stay in place simply by latching-on to rocks or the ocean floor itself. Seaweed types are used for food substances, including the Japanese that use seaweed to wrap dishes such as sushi. 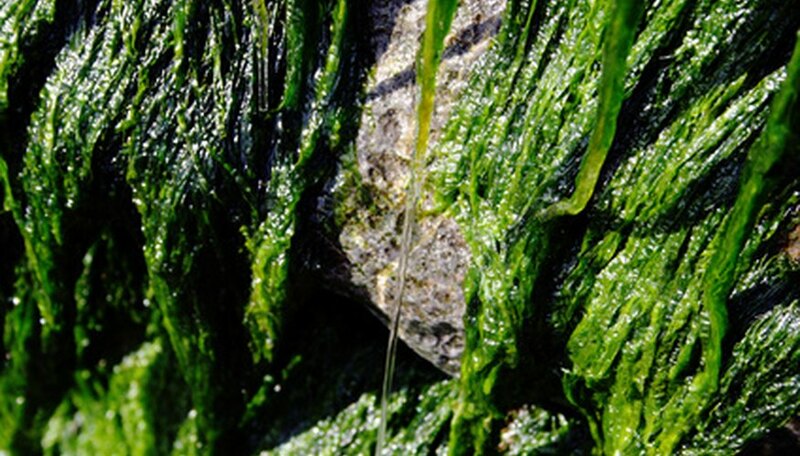 Algae come in many forms, red algae, Coralline algae and many others. Red algae thrive in tropical, warm waters and the species is believed to have been growing in the Earth’s waters for more than 500-million years. The algae gets its name and color, according to scientists at Cal-Berkeley, "because of the presence of the pigment phycoerythrin; this pigment reflects red light and absorbs blue light. Because blue light penetrates water to a greater depth than light of longer wavelengths, these pigments allow red algae to photosynthesize." Coralline algae help bind and support the coral reefs of the tropical and sub-tropical seas. With root systems and flowering buds, seagrass closely resembles the grass growing on the surface world. Seagrass needs much sunlight, so it grows in shallow water. These flowering plants have root systems that grow in the ocean floor. Some species of seagrasses are named “turtle grass, manatee grass, and shoal grass.” Seagrass provide shelter for small species of fish and crustaceans such as lobsters and food for large creatures such as manatees. Zaphyr, John. "What Plants Live in the Oceanic Zone?" Sciencing, https://sciencing.com/plants-live-oceanic-zone-6661079.html. 24 April 2017.